Ham, Genoa salami, cheddar, mozzarella, black olives, lettuce, tomatoes, onion, mustard. Turkey, Genoa salami, cheddar, mozzarella, black olives, lettuce, tomatoes, onion, mayo. Cup or bowl with two sourdough breadsticks for dipping. Turkey, bacon, cheddar, mozzarella, lettuce, tomatoes, mayo. Shaved chicken, feta, mozzarella, avocado, romaine, grape tomatoes and lemon tarragon dressing on a garlic herb wrap. Served cold. 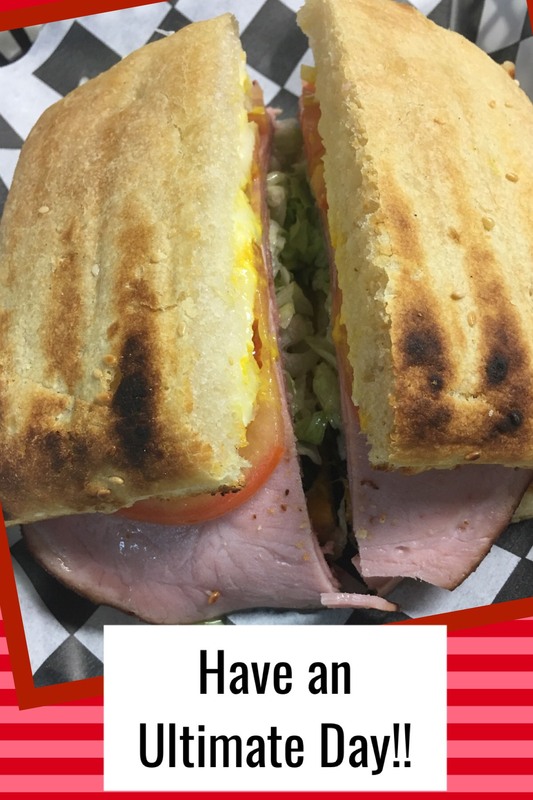 Ham, Swiss,pineapple, lettuce, tomato and habenero pineapple sauce. Ham, mascarpone cheese, blueberry sauce on toasted sourdough. Grilled Chicken, feta, mozzarella cheese, fresh strawberries and candied walnuts with poppy seed. Strips of grilled chicken, mozzarella, romaine, lettuce, caesar dressing on garlic herb wrap; served cold. Turkey, bacon, cheddar, pickle-spears, ranch dressing on jalapeno cheese wrap. Strips of grilled chicken, cheddar, black olives, lettuce, tomatoes, onion, kickin' chicken sauce on jalapeno cheese wrap. Shaved chicken, mozzarella, lettuce, dried cranberries, glazed walnuts, mayo, spicy mustard on garlic herb wrap; served cold. Roast beef, cheddar, lettuce, tomato, onion, sour cream, salsa on the side on jalapeno cheese wrap. Strips of grilled chicken, mozzarella, romaine lettuce, tomatoes, basil pesto on garlic herb wrap; served cold. Mozzarella, romaine lettuce, hummus, cucumbers, tomatoes, black olives, balsamic vinaigrette on garlic herb wrap; served cold. 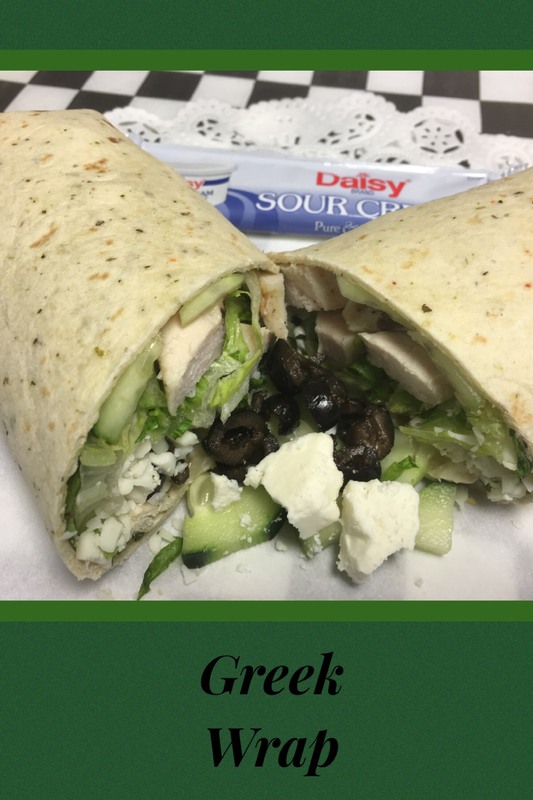 Strips of grilled chicken, mozzarella, feta, romaine lettuce, black olives, cucumbers, sour cream, Italian dressing on garlic herb wrap; served cold. All served with sour cream and butter on the side. 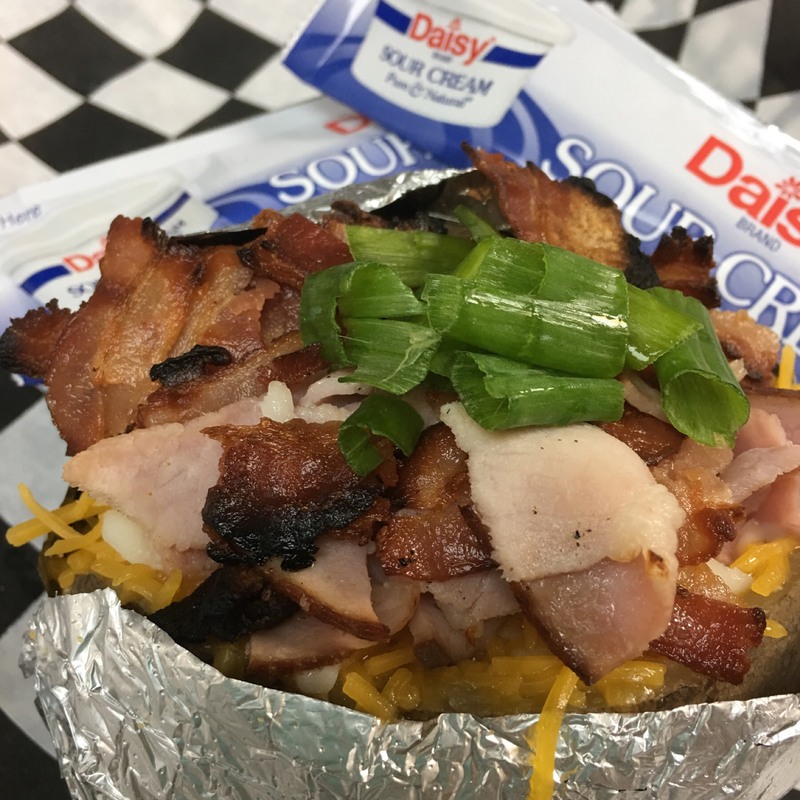 Ham, bacon, cheddar, green onions. Served with sour cream and butter on the side. Served with sour cream and butter on the side. Double Ham, Double Genoa salami, cheddar, mozzarella, black olives, lettuce, tomatoes, onion, mustard. Ham, cheddar, mozzarella, black olives, lettuce, tomatoes, onion, mustard. Cheddar, mozzarella, black olives, lettuce, tomatoes, onion, mustard. Pastrami, Swiss cheese, spicy mustard or thousand island on rye bread. Pastrami, Swiss cheese, spicy mustard, sauerkraut on rye bread. Roast beef, cheddar, mozzarella, lettuce, tomatoes, pickles, mayo. Roast beef, cheddar, mozzarella, Swiss cheese, onion, bell peppers, 57 sauce. 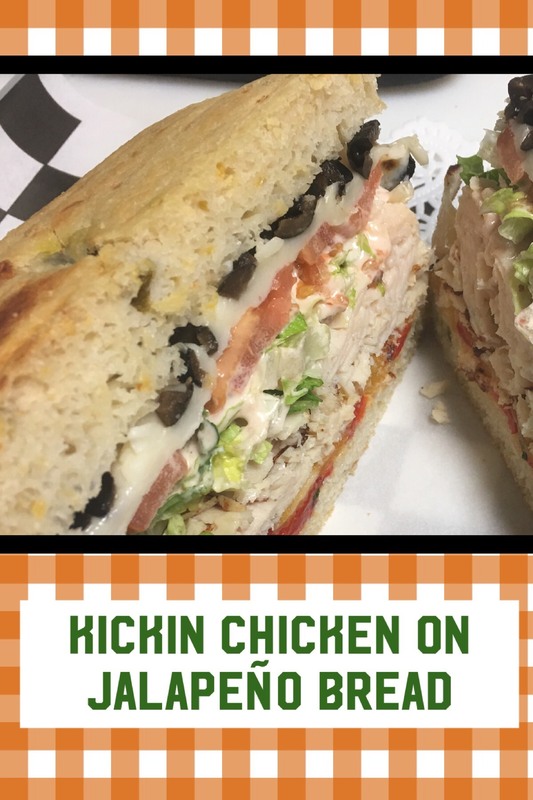 Chicken, cheddar, mozzarella, black olives, fire roasted bell peppers, lettuce, tomatoes, green onion, kickin' chicken sauce on jalapeno bread. Chicken, lettuce, tomatoes, pickles, ranch. Ham, pepperoni, Genoa salami, Swiss cheese, lettuce, tomatoes, onion, Italian dressing. Cranberry and pecan chicken salad, lettuce, tomatoes. Chicken, mozzarella, feta, lettuce, tomatoes, basil pesto. 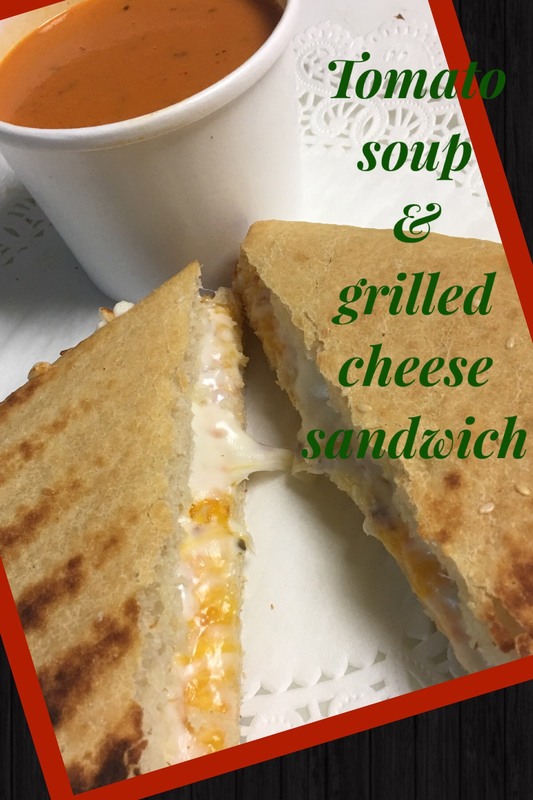 Cup of tomato basil soup with a full mozzarella & cheese sourdough sandwich. Romaine lettuce, turkey, ham, mozzarella, cheddar, tomatoes, black olives, dressing of choice on the side. 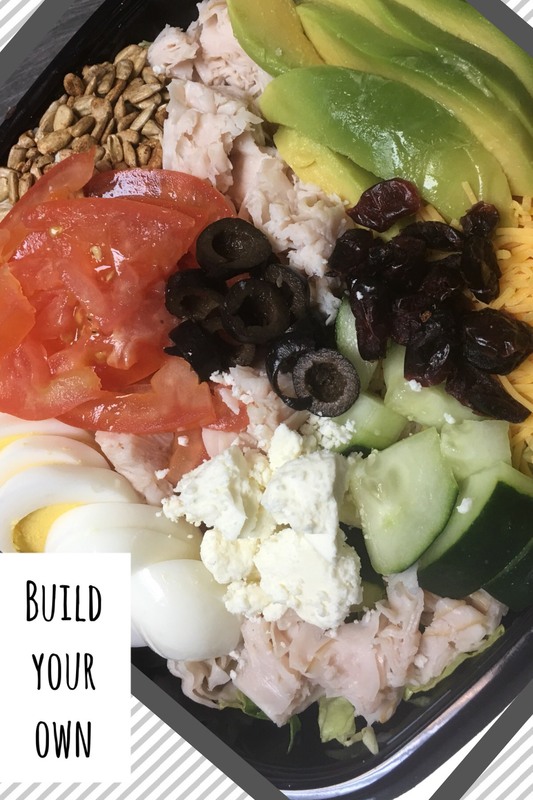 Romaine lettuce, turkey, mozzarella, cheddar, tomatoes, black olives, dressing of choice on the side. Romaine lettuce, mozzarella, croutons, caesar dressing on the side. Romaine lettuce, ham, Genoa salami, pepperoni, mozzarella, tomatoes, Italian dressing on the side. Sliced chicken, romaine lettuce, mozzarella, dried cranberries, glazed walnuts, raspberry vinaigrette on the side. Romaine lettuce, strips of grilled chicken, feta, black olives, cucumbers, tomatoes, Italian dressing on the side. Romaine lettuce, mozzarella, tomatoes, cucumbers, dressing of choice on the side. Design your own salad starting with a base of chopped romaine lettuce. Please call heavenly buns for flavor options, and type chosen flavor in instructions for item.